JASON SAMUEL FISH was born 23 Aug 1826 in Fairfield County, SC. He was the son of ELIAS & CYNTHIA (McCANTS) FISH who left Fairfield County about 1834 and settled in Georgia. Sometime during the 1830's, they moved on to Pickens County in northwestern Alabama, however, they drifted further west into the Itawamba & Tishomingo County area of northeast Mississippi during the 1840's. 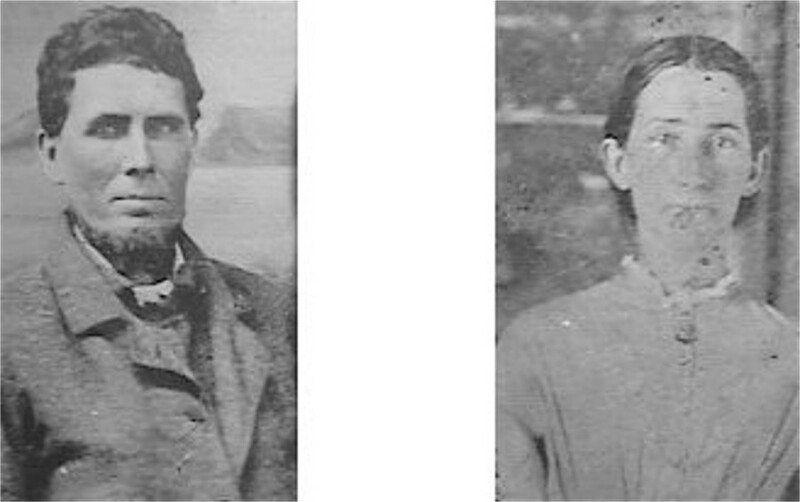 Jason's parents returned to Harris County, Georgia by 1850. Jason remained in Oktibbeha County, MS and married Ann Eliza Goings in 1848. It is not known for sure if Jason & family moved to Parker & Denton County area of Texas during the early 1850's along with his parents & other relatives. In 1856, Jason & family had settled in Mill Creek Township, Drew County, Arkansas (what is now Lincoln County) where he established a farm. His father died in Texas where his mother remained for awhile, before also moving to Lincoln County during the 1860's. They were all members of the Missionary Baptist Church where Jason was a deacon. ANN ELIZA (GOINGS) FISH was born in York County, SC in 1829. She was the daughter of Drury "Drew" & Elizabeth Goings who left SC during the 1830's and settled in Pickens County, Alabama. Her Great-Grandfather was Revolutionary War veteran Drury Goings of Chester County, SC. Ann's parents evidently later moved across the state line into Mississippi where Ann met & married Jason Samuel Fish in 1848. Ann traveled with her husband, their infant children & other family members to Drew County, Arkansas by 1856. Their children were all raised in Mill Creek Township near Cornerville in this area of Arkansas which became Lincoln County. It is not known what became of Ann's parents, or if she had any brothers or sisters, but several Goings families resided near Ann in Lincoln County, who may have been close relatives. Ann died in 1894 and is buried in Hickory Grove Cemetery near Cornerville, Arkansas.